The Spa Defender by Leisure time is a blended organic polymer that prevents scales and calcification caused by calcium. Pump seals, plumbing, heaters and the surfaces of spas and hot tubs may calcify with continued exposure to the calcium present in the water. This can do irreparable damage to the equipment and give you a lot of grief down the road. Regular use of Spa Defender, a non-foaming, easy to use spa chemical that is compatible with all other spa chemicals, will prevent this headache preemptively. 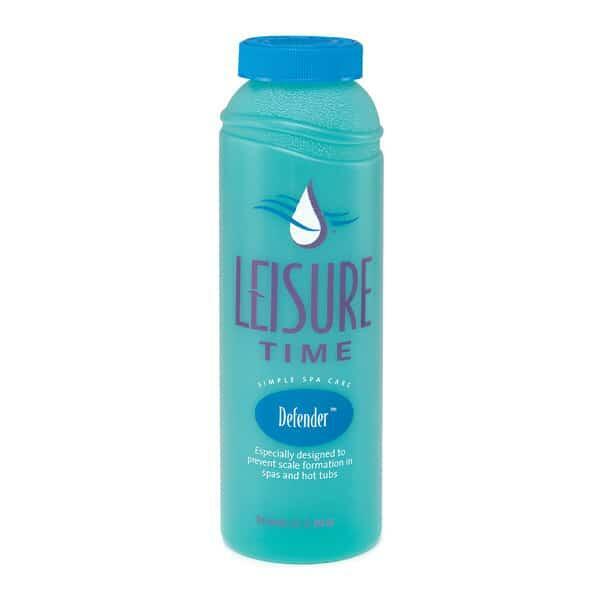 Spa Defender by Leisure time will prevent precipitation of dissolved solids, calcification of important components, and it aids in the overall clarity of spa and hot tub water. Calcium will always be present in your water. Make sure you harness it for good, and protect against the bad!